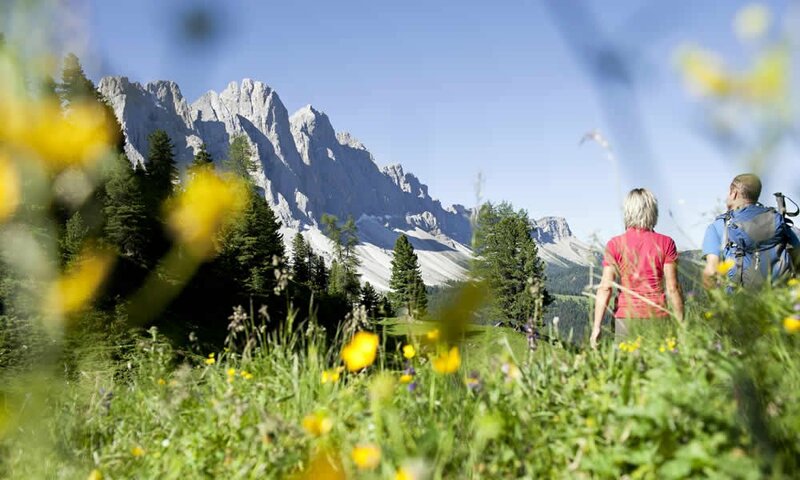 Enjoy the many hiking trails during spring time in South Tyrol. Walk along the panoramic trail which starts in St. Peter. Begin your three-hour hike through the blossoming mountain scenery at the “Vikoler Picture”. The hike will lead you along the Biotope Veltierer Zente all the way to the town of S. Maddalena. Gentle hills and a fascinating view over the Odle Peaks are the reward for your efforts. Experience the unique hospitality of the different mountain huts along your way. The spring awakening in the mountains is an experience, which you will joyfully remember for a very long time.